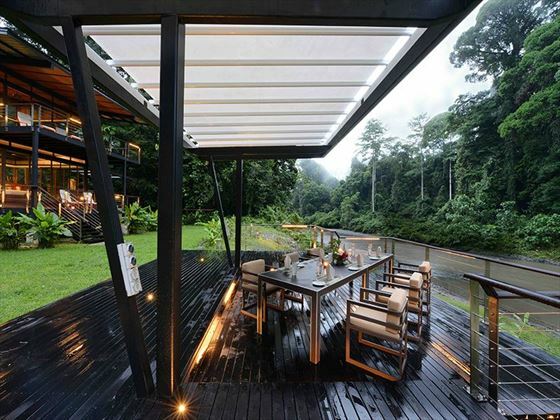 These luxurious accommodations belie their location – amidst an untouched primitive rainforest, where macaques swing above in the trees and monitor lizards glide through the river below. Riverside rooms are spacious and luxuriously appointed with private bathing tubs on the balcony. The food is celebrated here, delicious and plentiful and from your room you can use your handset to call the butler service for a refreshing drink to be served on your balcony. However, the wildlife is the main draw here and private guided safari walks with resident naturalists are what it is all about. Learn about your surroundings as you spot the mammals and reptiles that call this their home, exactly as they have done for thousands of years. This is an once-in-a-lifetime experience so hike the trails, dive into waterfalls, try tubing in the river and a natural fish pedicure - make the most of every moment (DTM). 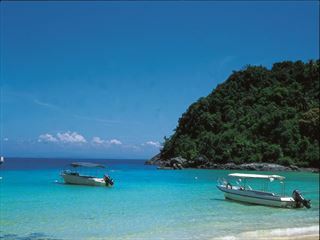 The town of Lahad Datu is the gateway to the Danum Valley and is a short flight from Kota Kinabalu. 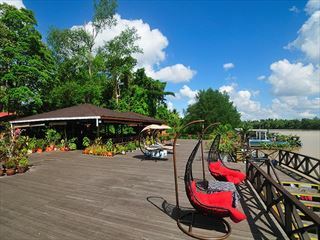 Your stay includes complimentary transfers from Lahad Datu airport when you arrive on the morning flight (transfer from Lahad Datu is scheduled at 9.30am, other times can be accommodated for a surcharge). At the airport you will be met by the driver who takes you in the first instance to the Borneo Nature Tours office where you can enjoy a coffee and snack before a brief presentation about the Lodge and the journey. The drive to the lodge is just over 2 hrs and more than 60 kms of the road is unsealed so can be a little bumpy (adding to the adventure of course). Morning collection (9:30am) from Lahad Datu Airport for your 2 hours 30 mins drive to the lodge. 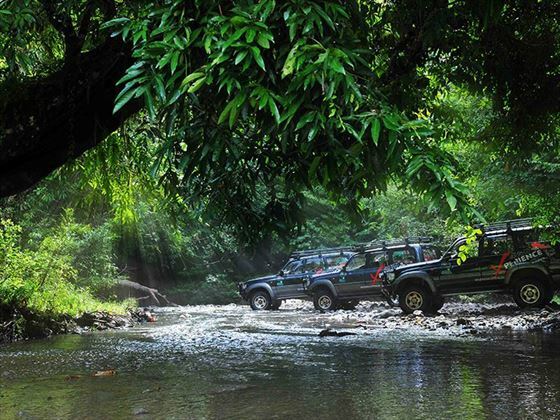 Enjoy the changing landscapes of the regenerating forests to virgin rainforests of a million years old! 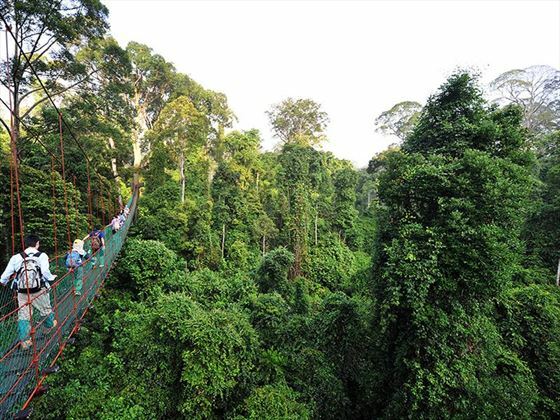 Check-in to Borneo Rainforest Lodge and enjoy your first look at the surrounding forest on an introduction trek on the Nature Trail & ingenious Tree Canopy Walkway. After a wonderful dinner, you will join a guided Safari Night Drive to benefit from wildlife activity as the day comes to an end. 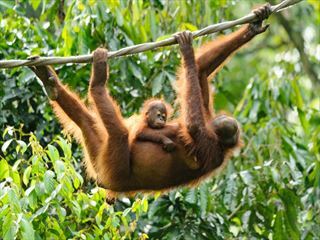 Wake up to the calls of the Bornean Gibbons enjoy a hearty breakfast. 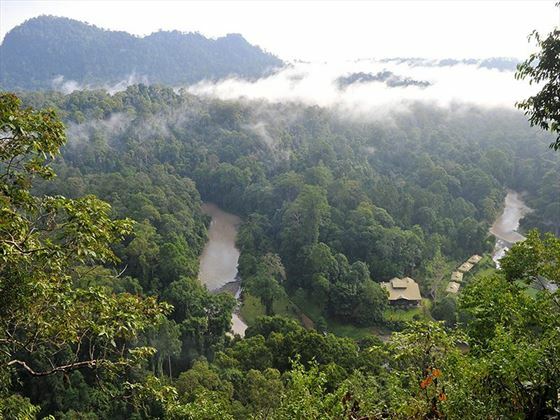 Start the day’s wildlife viewing with a guided trek to the View Point, Kadazandusun burial site –known as Coffin Cliff. Revive yourself after the walk with a short break by the natural Jacuzzi pool for a refreshing dip before lunch at the Lodge. 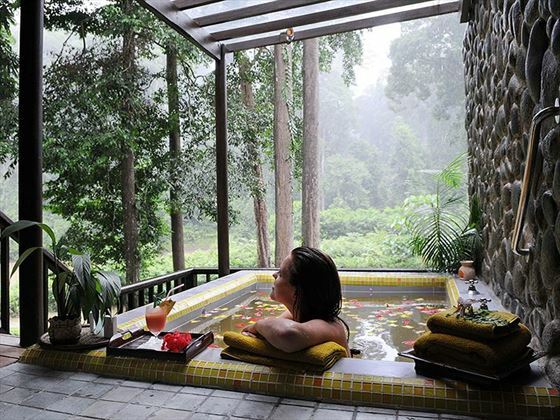 Afternoon optional activities: A Guided Jungle Trek or if weather permits, a Water Tubing session down the Danum River for an hour or just enjoy time at leisure. Tonight you can explore the jungle on a guided Night Walk on the Nature Trail after dinner. 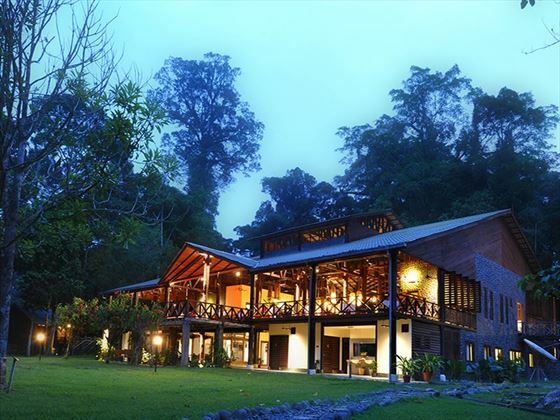 Relax for one last time with your stunning views or take an early morning walk; return to the Lodge for lunch before checking-out for the return land transfer to Lahad Datu Airport for your onward flight. 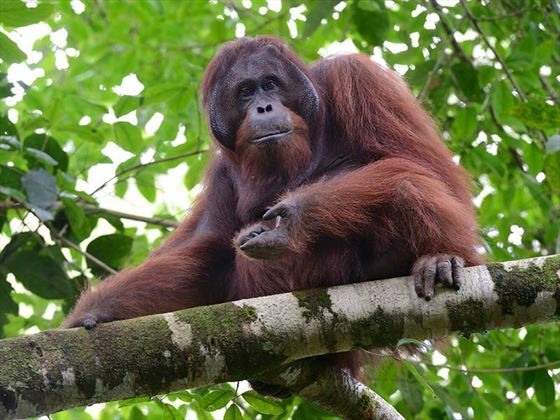 We recommend staying in Kota Kinabalu for a few nights at one of the beach resorts before embarking on this tour to allow you to familiarise with the surroundings and take the early morning flight to Lahad Datu to begin your rainforest adventure. 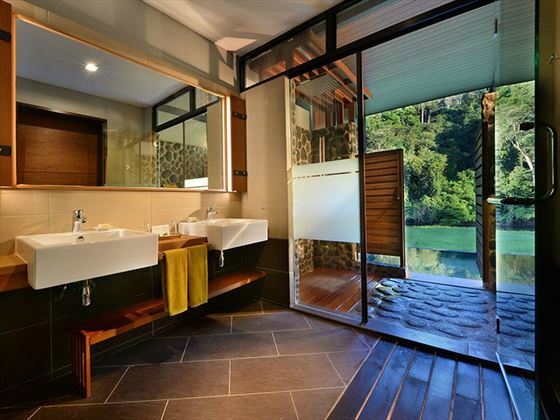 All rooms are actually spacious Chalets with a bathroom that includes a semi-outdoor shower with hot water and two sinks. Complimentary soft drink mini-bars and a fan are found in all rooms. 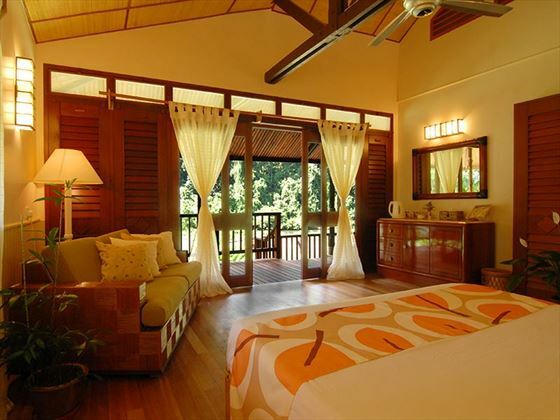 Standard Chalet – has a private deck for wildlife viewing and jungle views. 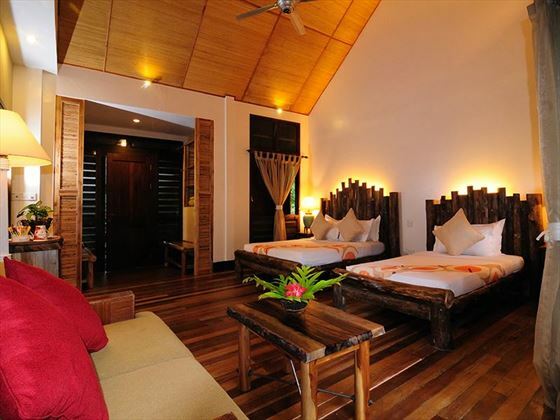 Deluxe Chalet - we recommend the deluxe rooms as they are larger and all have a sunken bath on the balcony; they are available as jungle or river facing. 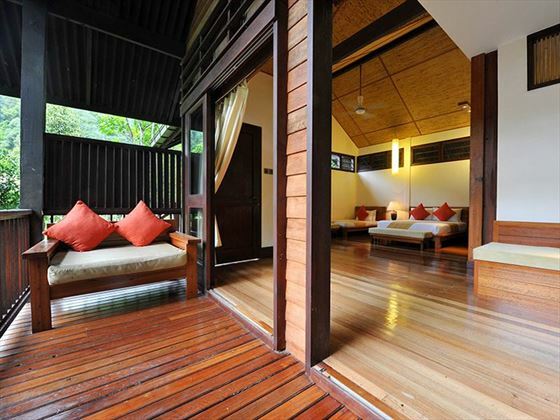 Premium Deluxe Chalets - these chalets have a more contemporary feel, plus air conditioning. It is humid here – very humid – sometimes 100% humidity is reached, which need not spoil your stay. Lots of useful information is given at your welcome briefing but you can also be prepared with your packing. Dry-quick sports clothes are better than cotton as cotton will retain the moisture. The lodge has a special place to dry your boots and buy leech socks to keep your feet dry and free from critters. There are rehydration drinks in your fridge in your room along with other complimentary soft drinks. We recommend staying in Kota Kinabalu at one of the beach resorts prior to taking this tour due to the flight times into Lahad Datu to begin your tour early morning.